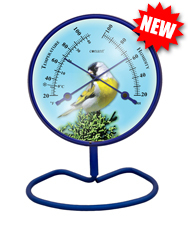 COMF FINCH - Convertible Small Dial Comfortmeter ("Lawrence's Goldfinch" in Royal Blue) NEW! 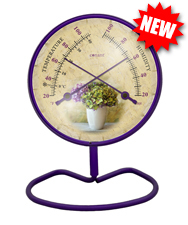 COMF HYDRA - Convertible Small Dial Comfortmeter ("Antique Hydrangea" in Purple Amethyst) NEW! 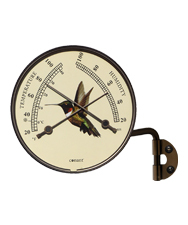 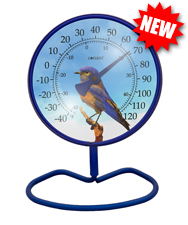 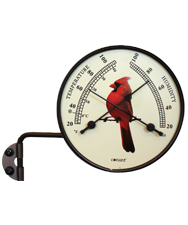 T6 BLUEBIRD - Convertible Small Dial Thermometer ("Western Bluebird" in Royal Blue) NEW! 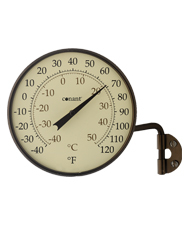 T6 CLASSIC - Convertible Small Dial Thermometer ("Classic" in Bronze Patina) NEW! 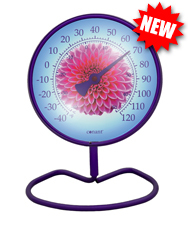 T6 DAHLIA - Convertible Small Dial Thermometer ("Pink Dahlia" in Purple Amethyst) NEW! 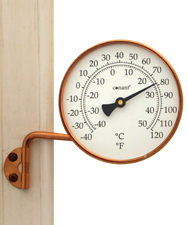 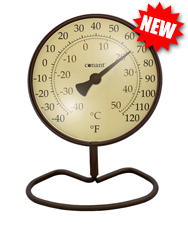 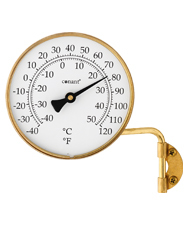 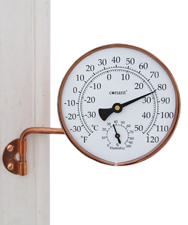 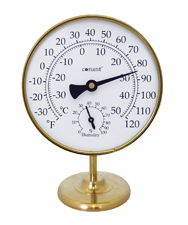 T10 CLASSIC - Convertible Large Dial Thermometer ("Classic" in Bronze Patina) NEW! 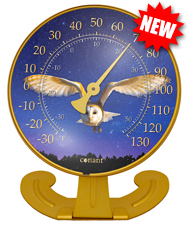 T10 OWL - Convertible Large Dial Thermometer ("Night Sky Barn Owl" in Golden Rod) NEW! 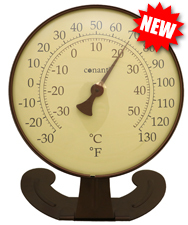 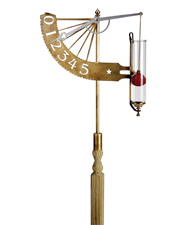 T10 SUNFLOWER - Convertible Large Dial Thermometer ("American Sunflower" in Golden Rod) NEW! 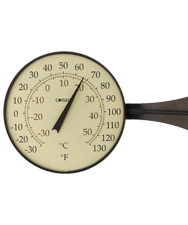 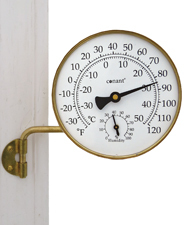 T23BP - Vintage Oval Thermometer (Bronze Patina) NEW! 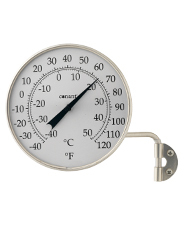 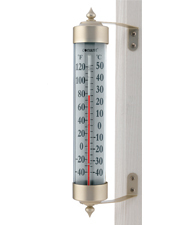 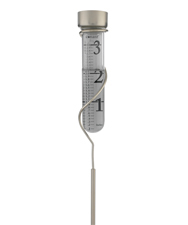 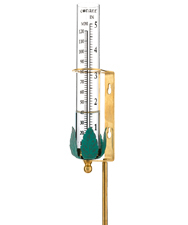 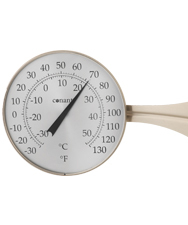 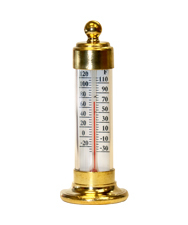 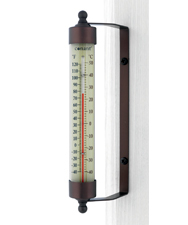 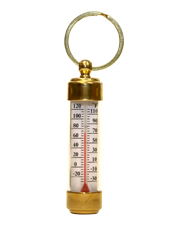 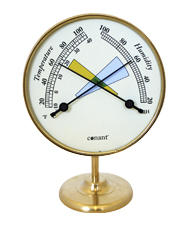 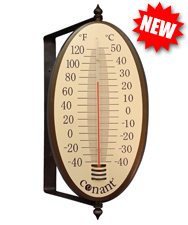 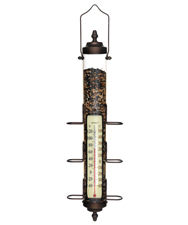 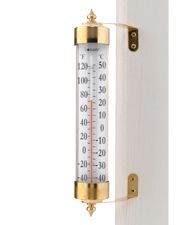 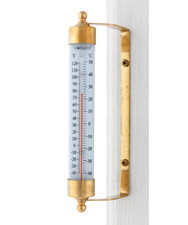 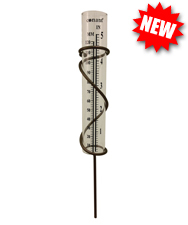 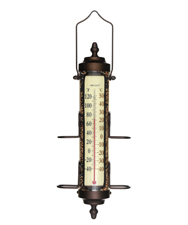 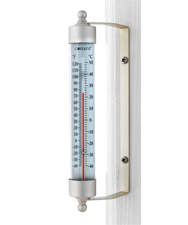 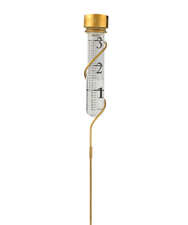 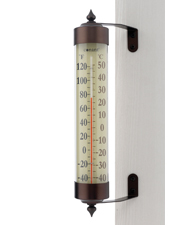 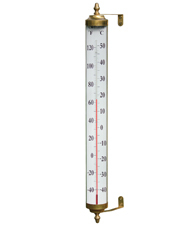 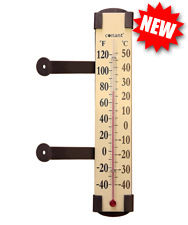 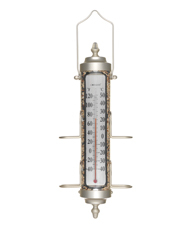 T30BP - Clear View Thermometer (Bronze Patina) NEW! 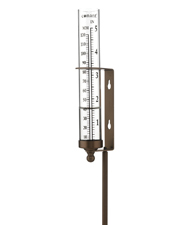 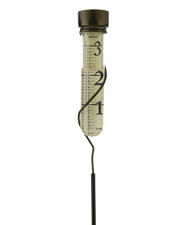 VRG10BP - Spiral Rain Gauge (Bronze Patina) NEW!